Hey everyone! 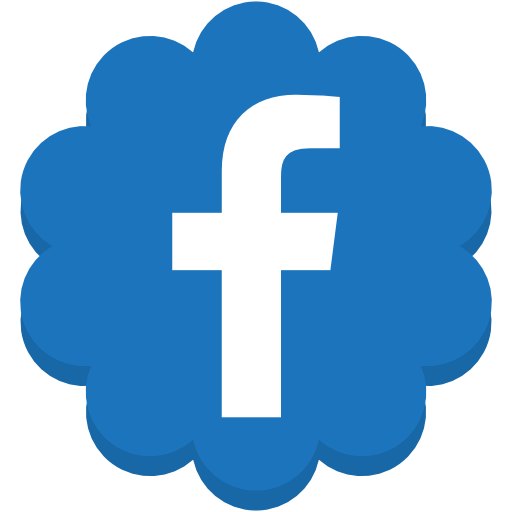 Anne here and today I'm sharing my final post with you as a Design Team member. I've created a card featuring the Cat On The Fence die. I started out by die cutting this die from the front panel of my card base so that there is an opening. (The die cut is actually located on the inside of the card.) Next I ran the front of the card base through an embossing folder and then colored it with various colors of Nuvo Embellishment Mousse. 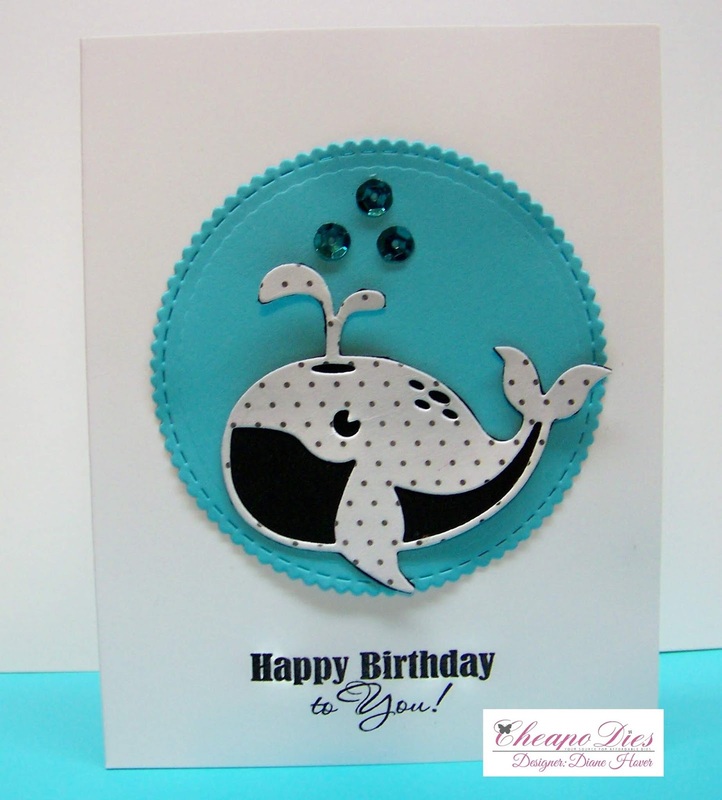 I masked front of the card and then added more colors of Nuvo Embellishment Mouse to the inside. This gives me the backdrop for my silhouette. Once this was finished, I closed the card front, added glue to the die cut, and dropped it down from the front. That way, I've got perfect placement. On the inside of the card, I randomly stamped my sentiment all over. For additional details on this project, please visit my blog, Anne-Made. I'm sad to be leaving the team but I know if you visit the Cheapo Dies blog daily, you'll get lots of great inspiration. 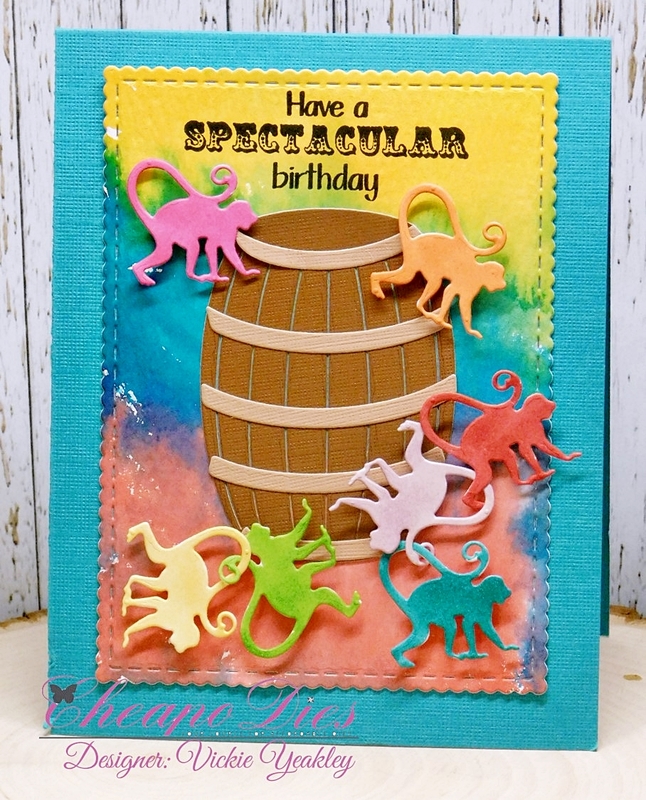 Vickie Y sharing a fun, colorful barrel full of monkeys! 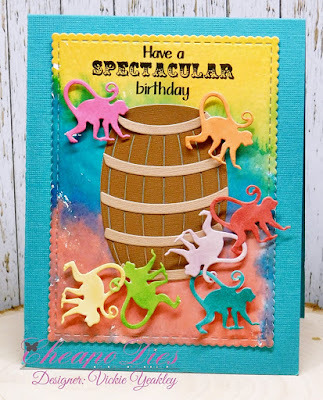 I die cut 7 monkeys and colored them using Chameleon markers; the background was created using wet watercolor paper and distress spray stains; when dry, I die cut using the Stitched Scallop Rectangle die. just about perfect for a little one! 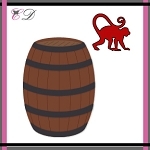 I used the Cheapo Dies MONKEY for my 'main attraction'. 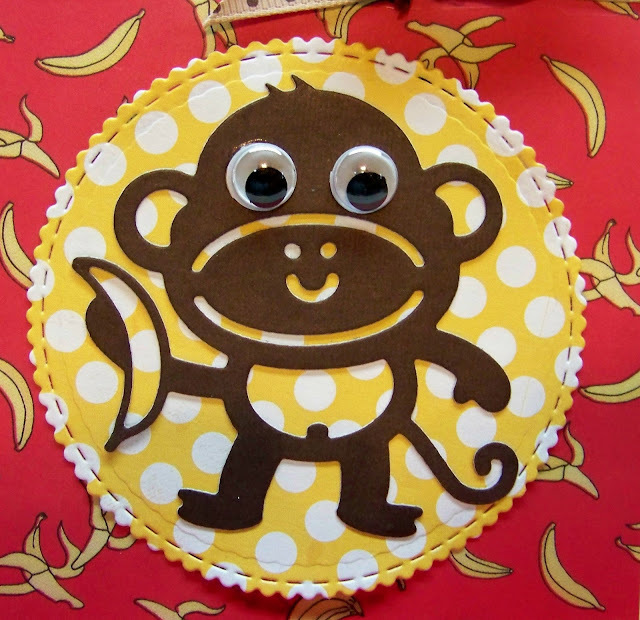 I die cut him from brown linen paper and added him to a scalloped polka dot circle. The background paper is some I have had forever. a long while back..silly and cute little thing! I thought he was just 'begging' for google eyes and big ones at that! 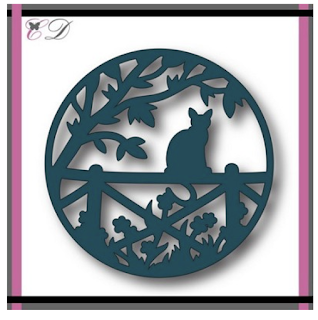 Visit the Cheapo Dies online store as there are LOTS of new dies just in!! 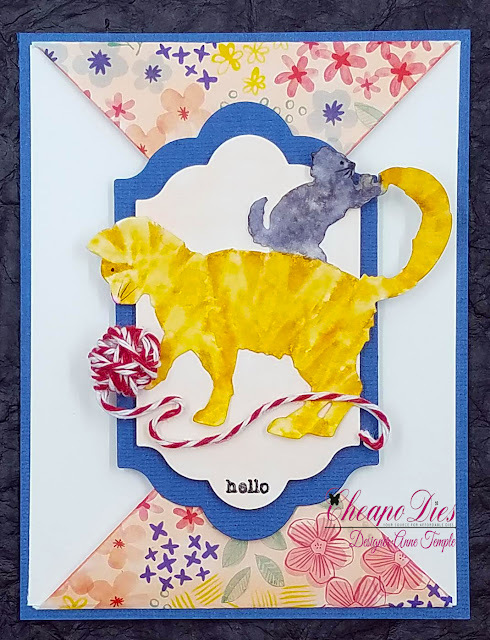 Come back tomorrow for more fabulous inspiration using these dies!! 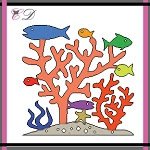 Gloria here today, I want to share with you a shaker card using Coral Reef die from Cheapo dies. 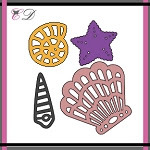 To create this card, I die cut the coral image and seashells images from white card stock with Cheapo dies. I then colored them using Copic markers. I made a shaker very easily with clear bag. I put glitter and sequins in the clear bag. I made a big circle with Unbranded Dotted circle die and attached the clear bag under the big circle. For the water background I blended a watercolor paper with Salty Ocean Distress Oxide ink using mini blending tool. Adhere the colored coral on the blended paper and adhere under the clear bag. Hope you are having a wonderful day! 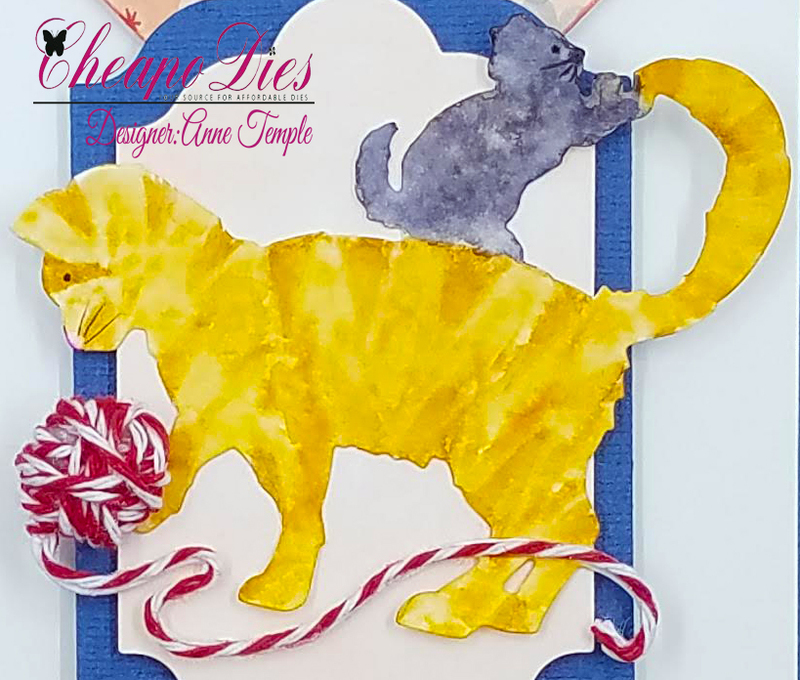 Today I am sharing a pretty and soft card I created. Here is a look at my completed card. I started with a white, A2 cardstock base. I then added another white mat and then some soft colored patterned papers. The main image is this beautiful die from Cheapo Dies. I cut it out of plain white cardstock and then used my Copic markers to color it. I layered the die cut onto some soft cream cardstock and then layered all of that onto a square cross stitched die from the set. I then sprinkled some pearls and gems around the outside. 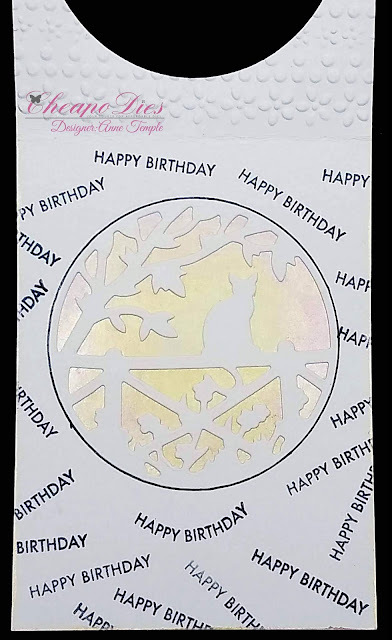 I finished off the card by creating this sentiment and then cutting it out of the oval scallop stitched die from the set. Here is one last look at my card. I think it turned out really nice and makes the perfect card for my stash. Guest Designer Darlene with you today sharing another fun creation using Cheapo dies. fun to color and create with . . .
lay it aside onto a scrap of black card stock and it just POPPED! Hence the black background ... what do you think? pretty plaid which I thought helped pull out all the colors I've used. a quick note ... this will be PERFECT!! 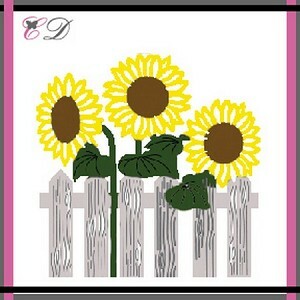 If your not familiar with Cheapo Dies, you are missing out!!! Thanks Cheapo Dies for having me as your Guest Designer! And thanks to all of you for stopping by today! Hello Cheapo Dies Fans!! 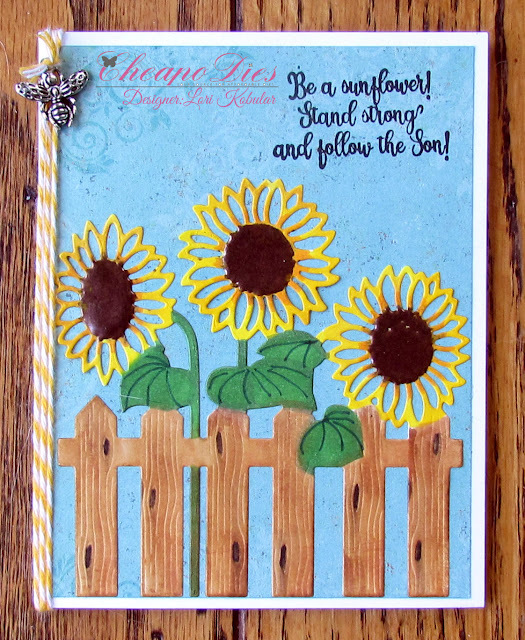 Lori here today and I have this fun card to share with you that I made with the Exclusive Cheapo Dies Sunflowers die. For this A2 card I started with White card stock for the base of the card. I took the blue paper, inked the edges with blue ink and then added that to the card. I took some watercolor paper and the Cheapo Dies Sunflowers die and cut it out. I colored it in with Copic markers and added it to the card. I took the sentiment and some black ink and stamped the sentiment on the top right hand corner. I took some yellow & white bakers twine and wrapped that around the card several times and then took the bee charm and tied that onto the bakers twine. 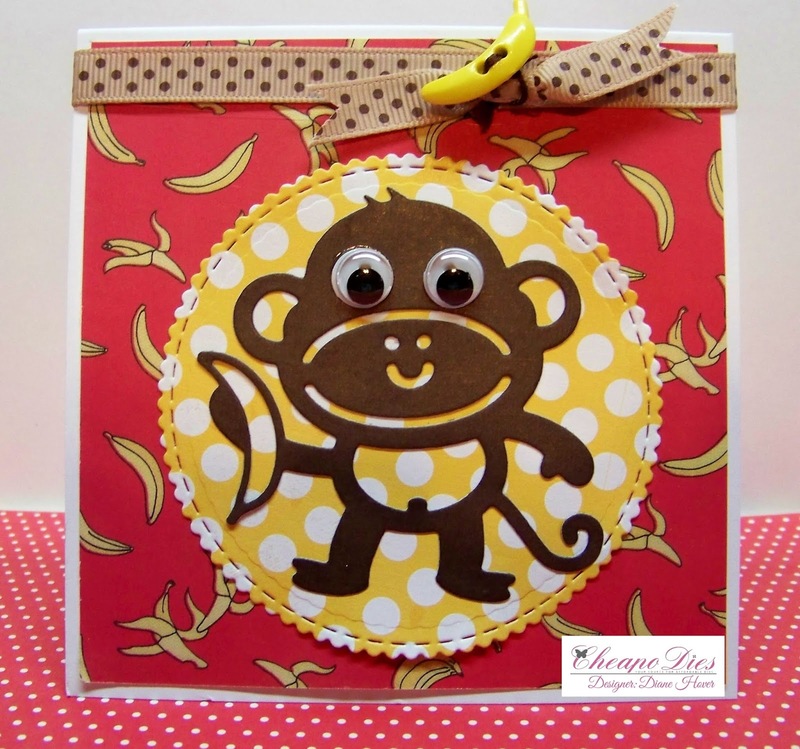 Be sure to stop by the Cheapo Dies Blog often to see what the Design Team have created with these awesome dies!! Hey everyone! Anne here and it's Friday! That also means it's my day to share a new project with you. 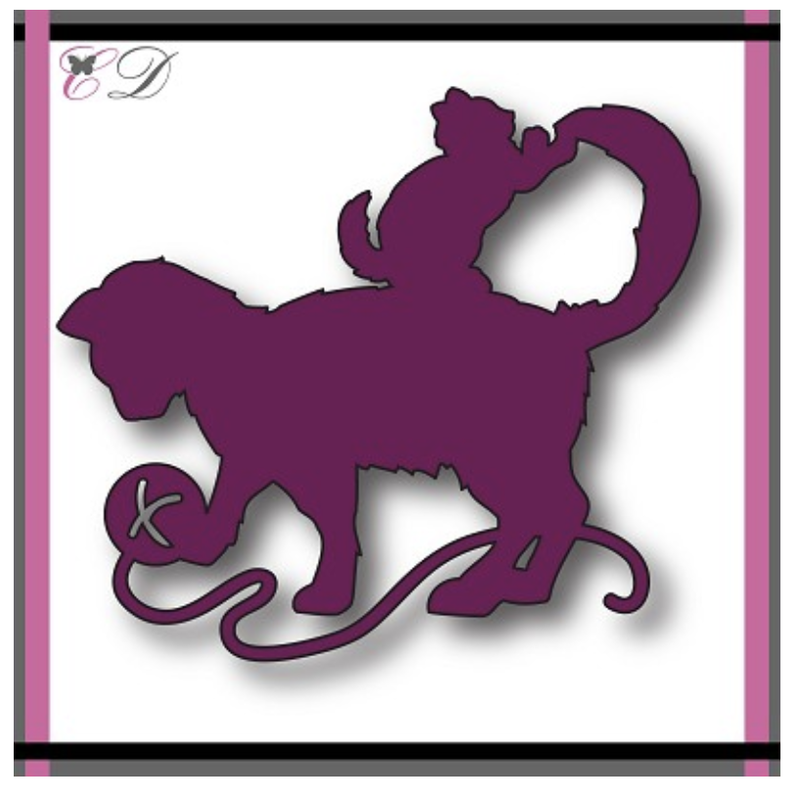 I used the Playful Kittens die. This was die cut from watercolor paper and watercolored with Zig Clean Color Real Brush watercolor markers. I actually die cut it a second time from a scrap of white cardstock so I could cut off the ball and string of yarn and add real twine around the ball and let it string along. This gave it tons of dimension. The sentiment was from a Concord and 9th stamp set and stamped with VersaFine ink. I then heat set it with Clear embossing powder. 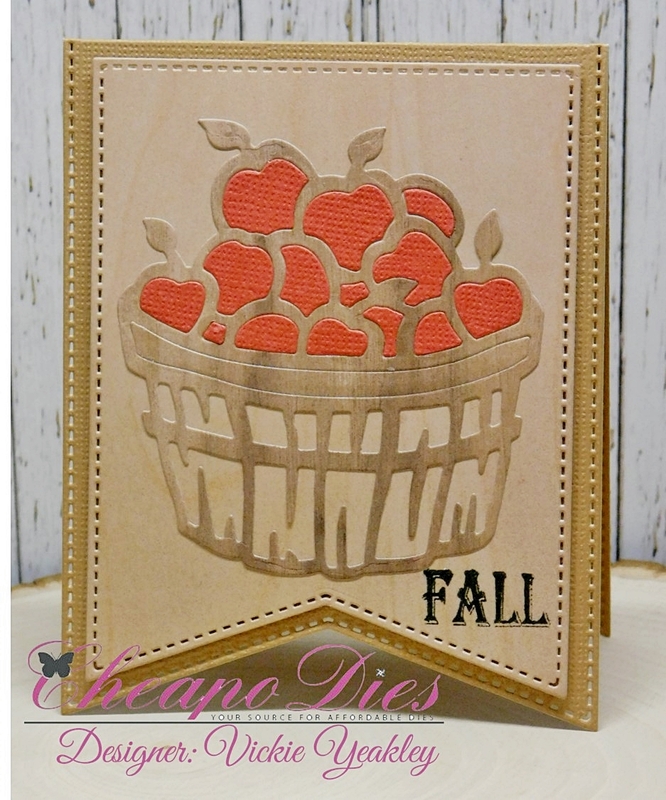 Vickie Y sharing a fall card with you today. 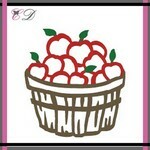 Fall is just around the corner and when I think of Fall I think of apples by the basket full! 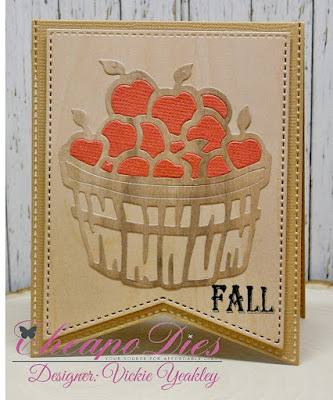 I used the Cheapo Dies Apple Basket Exclusive die cuting it twice once using a woodgrain designer paper and cut once using red cardstock to inlay the red applies into the basket. i also used the Unbranded Stitched Nesting Banners dies. 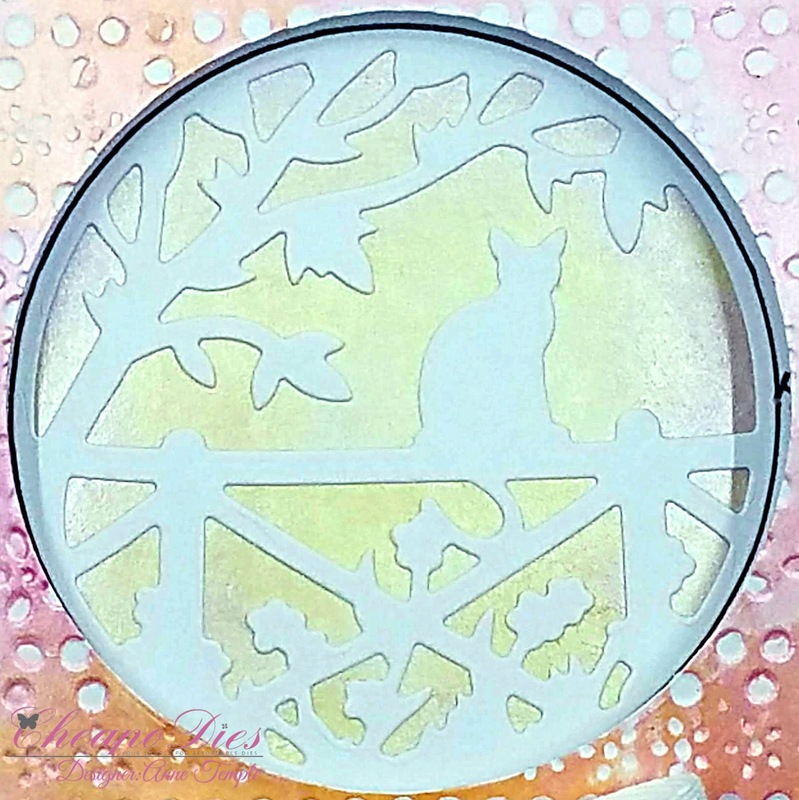 Melinda here and today I am excited to share this pretty card with you. 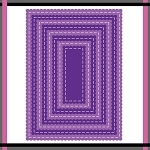 Here is a look at my completed card. I started with a Navy cardstock base and it is a standard A2 size. It is also a top folding card. The background is a piece of super pretty patterned paper from the Wandering Ivy Paper pad from Kaisercraft. I also used a piece of Navy cardstock and embossed that with a beautiful flourish embossing folder from my stash. The center of this card is this lovely birdcage. I cut it out of some Silver Rinea Foil paper and it cut beautifully. I layered it onto a piece of gray cardstock that I embossed with a small polka dot embossing folder and then layered all of that onto the scallop circle stitched die. Here’s a closer look at the sentiment. I created it and printed out and then cut it out with the smallest rectangle scallop stitched die. I finished off my card (as I often do) with a cute little bow from some seam binding ribbon. Hi there, I hope you are having a 'whale' of a good Tuesday! 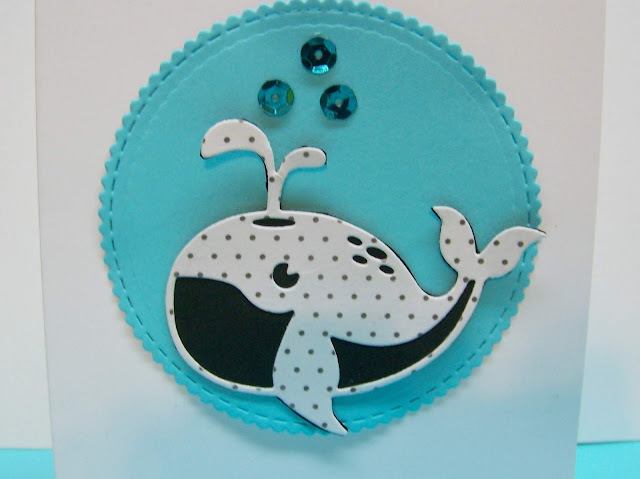 Speaking of 'whales', I have the cutest little 'whale' card ever! I fussy cut around (easy)! An easy but cute card, perfect to pop in the mail for a birthday! 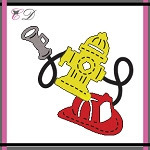 Gloria here today, I want to share with you a card using Fire die from Cheapo dies. 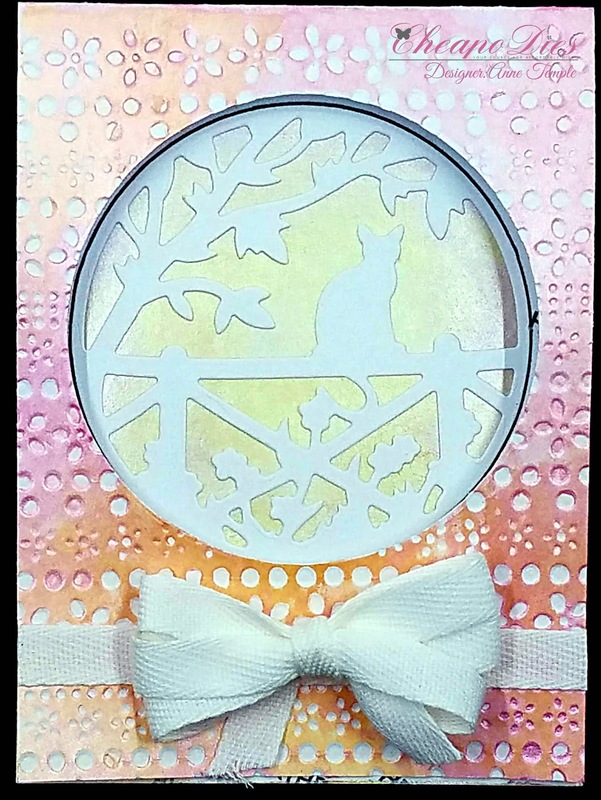 To create this card, I die cut the image from white card stock with Cheapo dies. I then colored them with Copic markers. I added Glossy accents and small star sequins on the colored die cut. I die cut a circle with Unbranded Dotted circle die. Adhere the colored die cut on the white big circle die with Glue pen. For the sentiment I used scallop stitch oval unbranded die.